18/8 powder-coated stainless steel construction. 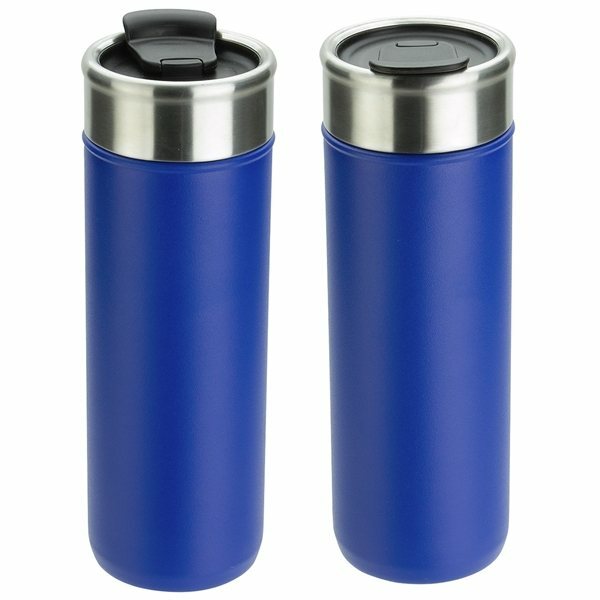 Keeps beverage hot or cold for up to 12 hours. Wide-mouth top opening makes it easy to add ice. 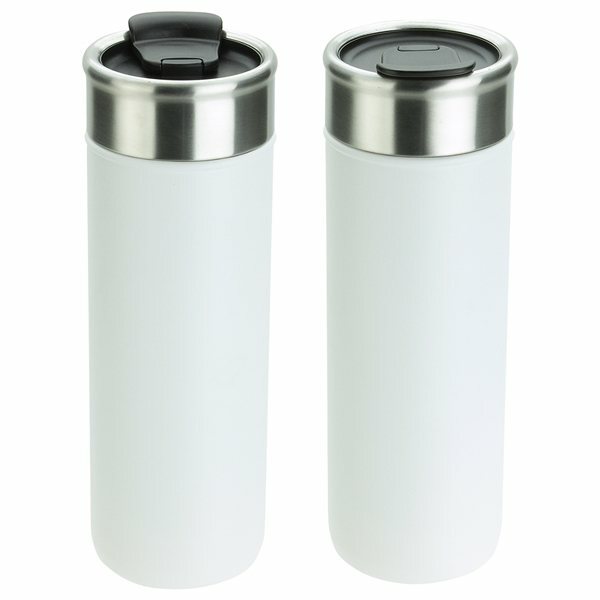 Screw-on rubber-seal stainless steel cap with flip-top spout.